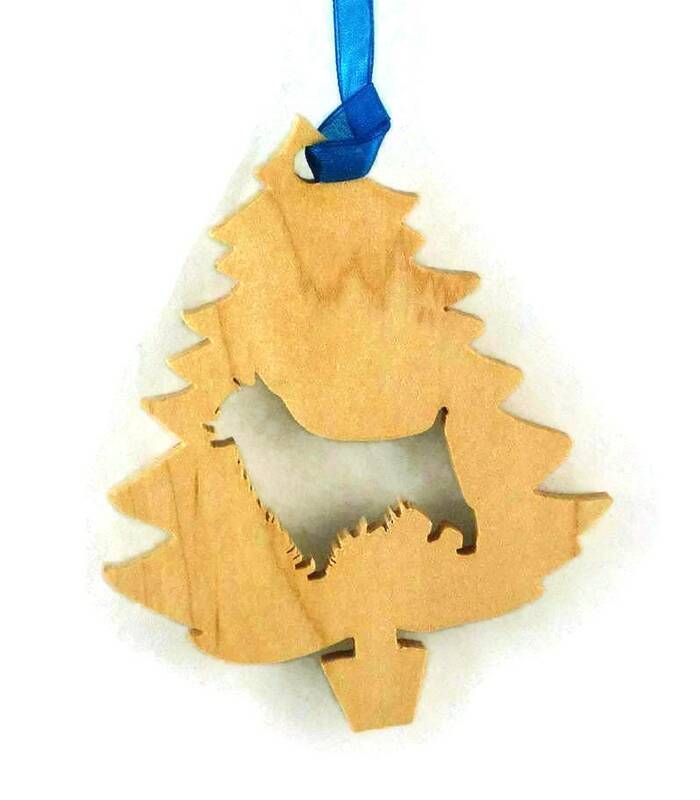 If you are an Australian Terrier lover then this handcrafted, scroll sawed wood ornament is for you. 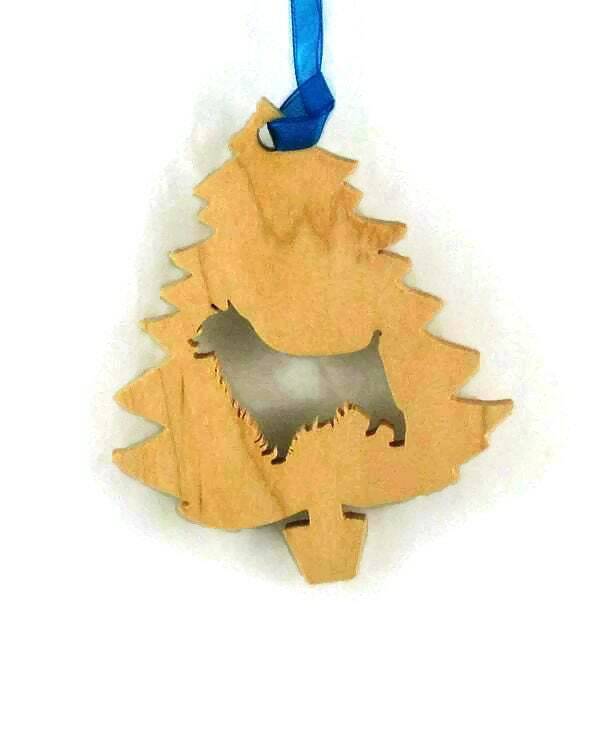 The Australian Terrier, or "Aussie" is nestled inside a Christmas tree with a fabric ribbon to make an excellent conversation piece on your unique Christmas tree. 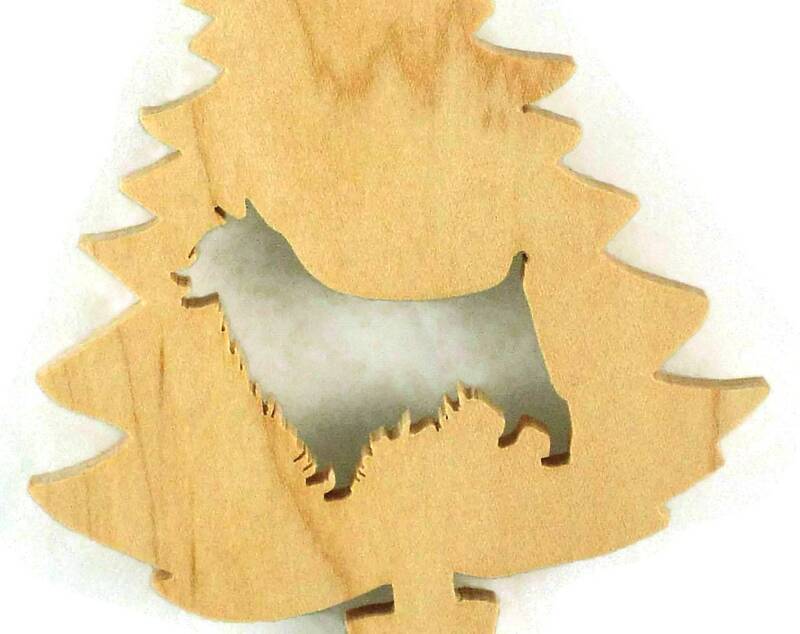 The Australian Terrier was the first breed to be recognized as native to Australia. They were bred to be loyal. courageous and affectionate, with boundless energy and extraordinary intelligence. If you have one of these dogs, you know this to be true. 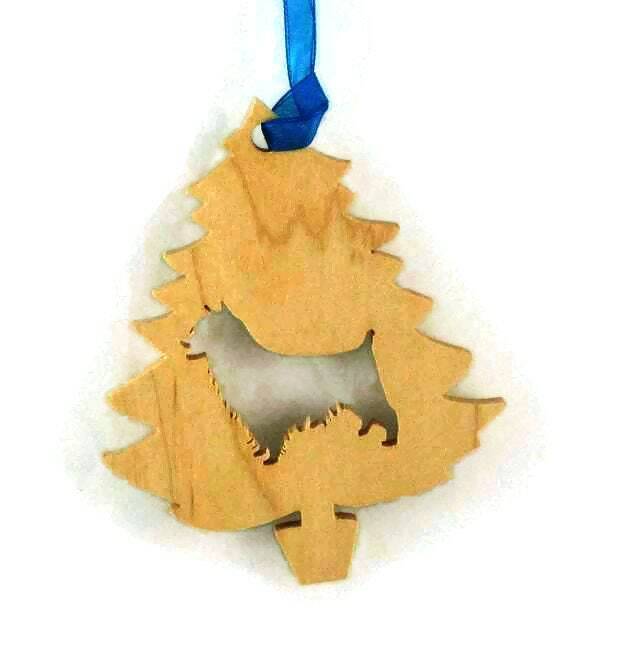 Wouldn't you love to have this ornament decorate your tree during the holidays when we celebrate family and friends? Especially when we all know that our dogs are an important part of our families. 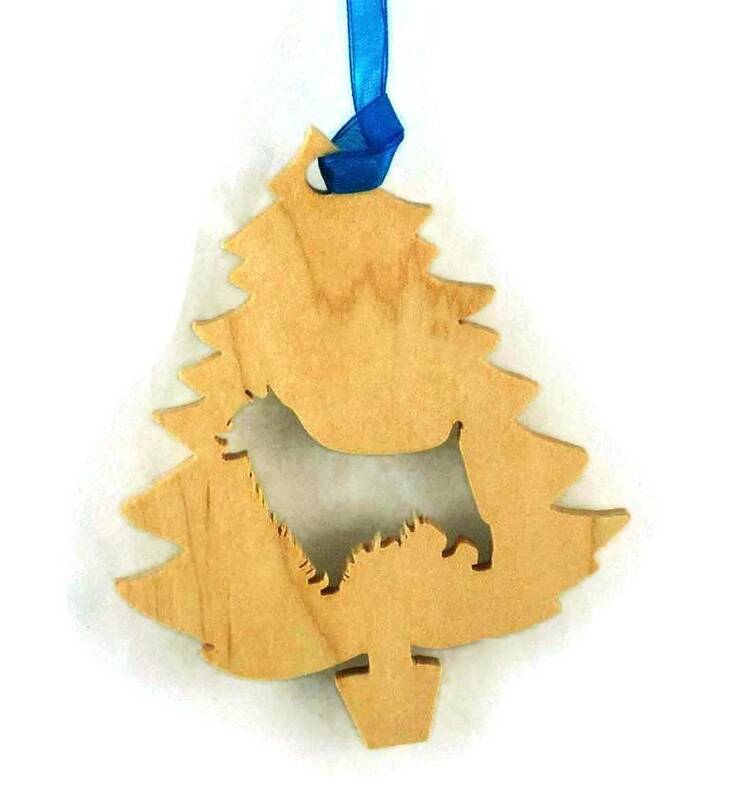 The size is 4-1/2 inch x 3-1/2 inch and is made from Maple wood and has a Danish Oil finish applied.